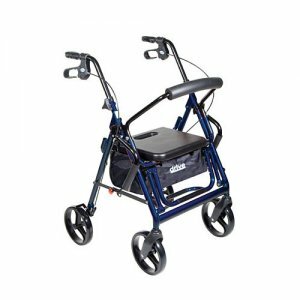 The Duet Transport Chair/Rollator by Drive Medical comes in an attractive blue finish and combines the features of a rollator and transport chair in one unit. An individual has the ability to ambulate independently or be pushed safety by a care giver. This transport chair/rollator comes with a comfortable padded seat with a large pouch underneath to easily and securely transport personal items. Inside the pouch is a convenient handle to aid with folding the chair/rollator. 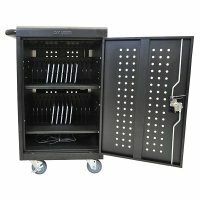 It has locking, flip up armrests, and a flip down footrest to aid the user while the Duet is used in the transport chair mode. Limited lifetime warranty.